The name Banks O’Dee or “The Banks of the Dee” was given its name by Welsh and Irish settlers to the region who named the area after the River Dee which forms part of the border between England and Wales. It is now, as it was then, a very small rural community with only a local road bearing the name Banks O’Dee Road to betray its existence. Yet, as we have often seen, even the most isolated and small communities can have connections to Lincoln’s assassination. Banks O’Dee, exemplifies this fact by having not one, but two associations to the great crime of April 14, 1865. After Lincoln’s assassination, the government mobilized troops and detectives to scour the entire region around Washington. Many men were sent into Southern Maryland which was a hotbed for Confederate sympathizers. Washington Provost Marshal, James R. O’Beirne, ordered several of his detectives into the region around Banks O’Dee in the search for John Wilkes Booth and David Herold in the hope that they had not yet crossed the Potomac River into Virginia. Three of O’Beirne’s detectives, Henry Bevans, Michael O’Callaghan, and Edward McHenry, were steamed in on April 19th to investigate the locals. Two the the detectives, McHenry and O’Callaghan, impersonated refugees and found themselves dining with a Banks O’Dee farmer by the named of Richard Claggett. During dinner, Claggett’s son revealed that at around 7:00 am on April 16th, he had seen two men in boat crossing over to a place on the Virginia shore called White Point (now Colonial Beach). The detectives passed this information along to O’Beirne and even crossed over the Potomac themselves in search for the two men in a boat, to no avail. 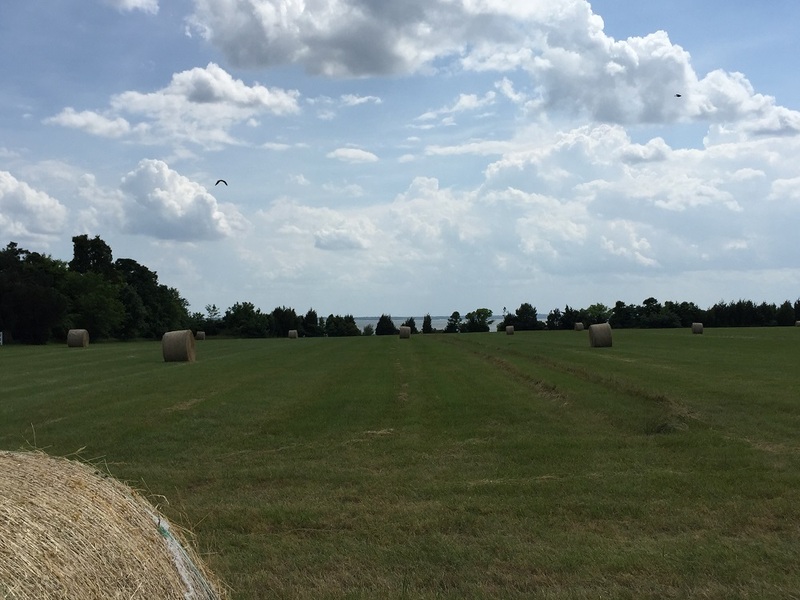 A farm near the water at Banks O’Dee. Thomas Harbin and Joseph Baden crossed the Potomac river near here on April 16, 1865. 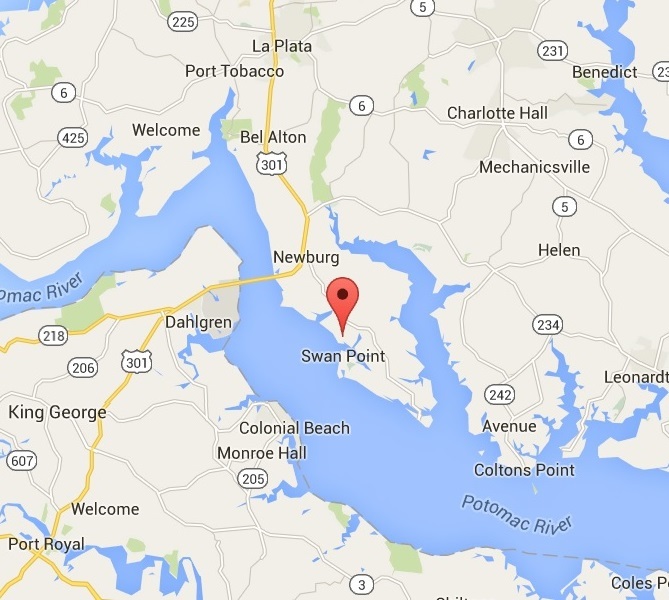 By April 24th days had gone by with no new credible sightings of Booth and Herold in Southern Maryland. O’Beirne, in the field himself at Port Tobacco, decided to once again bring the report of his detectives in Banks O’Dee to the attention of Lafayette Baker, head of the National Detective Police. Baker decided the report was now worth investigating further and approved the dispatch of men from the 16th New York Calvary to travel into the Northern Necks of Virginia in search of Booth and Herold. Two days later, this gamble paid off as the 16th New York cornered and killed John Wilkes Booth at the Garrett Farm in Caroline County, VA. However, this report from Banks O’Dee of two men crossing over the Potomac in a boat on April 16th was a case of mistaken identity. 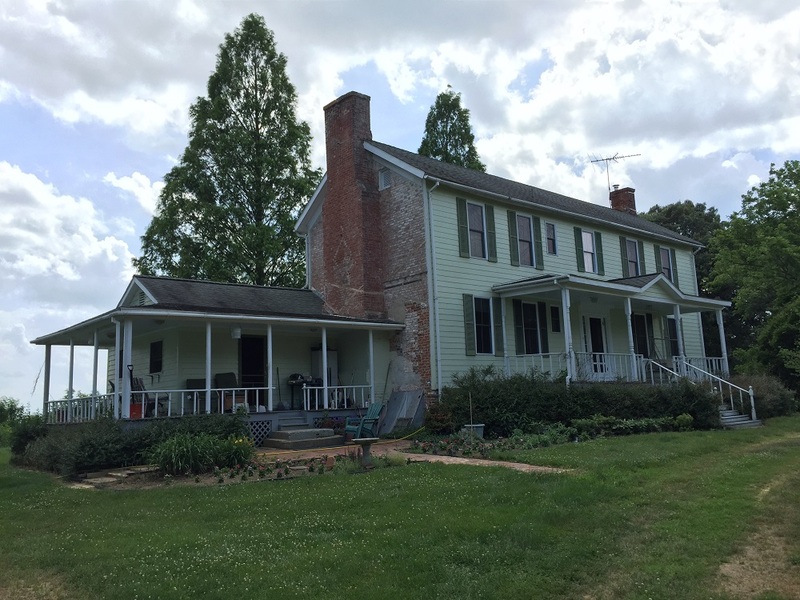 From April 16 – 20, John Wilkes Booth and David Herold were hiding out in a pine thicket near Samuel Cox’s Rich Hill farm. The two men who did cross from Banks O’Dee on April 16th were actually Joseph Baden and Thomas Harbin. Harbin had been an early recruit into John Wilkes Booth’s abduction plot and, when the assassin did manage to cross the river, Harbin briefly assisted Booth onward to Dr. Stuart’s. Still, had Harbin and Baden not been seen by a farmer in Banks O’Dee who then blabbed the sighting to undercover government detectives, John Wilkes Booth may have been able to escape further south. Banks O’Dee’s connection to the Lincoln assassination story stretches even further back than 1865. In 1835, two large properties in the area were purchased by a man named Minchin Lloyd, Jr. Mr. Lloyd’s father was an Irish immigrant who had set up his residence, and family, in Virginia and then in Port Tobacco, the county seat of Charles County. Minchin Lloyd, Jr. was an enterprising businessman in Charles County, serving his county as a Deputy Sheriff and Deputy Tax Collector. The second of six brothers, Minchin, Jr. had been entrusted by his siblings with many things of importance. When his youngest brother Francis died, the financially successful Minchin inherited his entire estate. He also inherited a large piece of his brother William’s estate when William died in 1833. William, who had been a businessman in Port Tobacco running a general store, also left two other things to his brother Minchin upon his death. This two things were his two young sons. Minchin became the guardian of William’s two children, Charles William and John Minchin Lloyd. The latter name should sound familiar. In 1865, John Minchin Lloyd would play a pivotal role in the assassination saga when, while renting Mary Surratt’s country tavern, John Wilkes Booth and David Herold arrived at the tavern, demanded the weapons that had been hidden there previously, and rode off after telling Lloyd they had assassinated President Lincoln. John M. Lloyd would prove to be one of the government’s key witnesses against Mary Surratt at the trial of the conspirators and his testimony would help seal her fate. 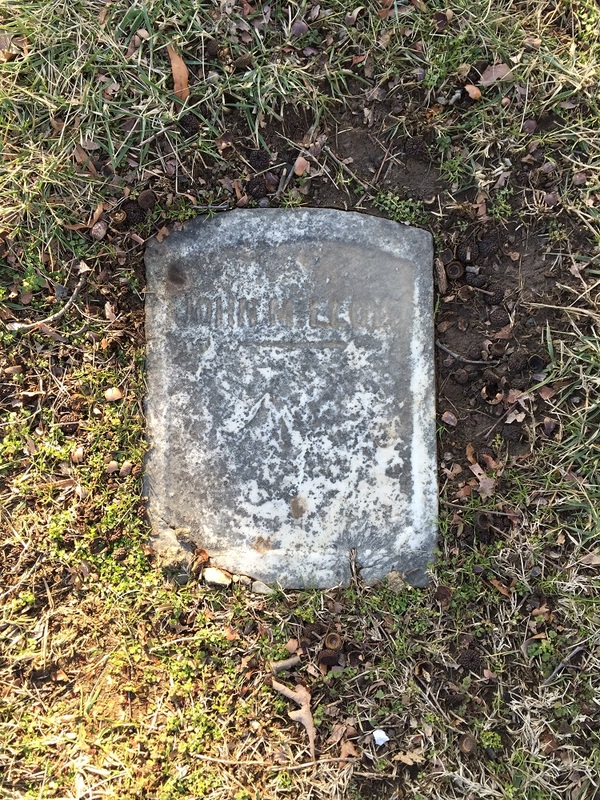 When William died in 1833, John was 8 years old. He and his younger brother went to live with his Uncle Minchin. In 1835, Minchin bought a large (500+ acre) property near Banks O’Dee. Minchin moved his whole family into a beautiful home which stood, “on an eminent hill in the center of the farm”. The house was called Milton Hill and was constructed around 1792. As a young boy of 11 years old, John is sure to have spent many days at Milton Hill with his uncle/adopted father. John M. Lloyd grew up in the Banks O’Dee area and watched as the family acquired more land in the area. Today a road, creek, and point in the region bear the Lloyd name and there are still descendants of the Lloyd family living in the area. 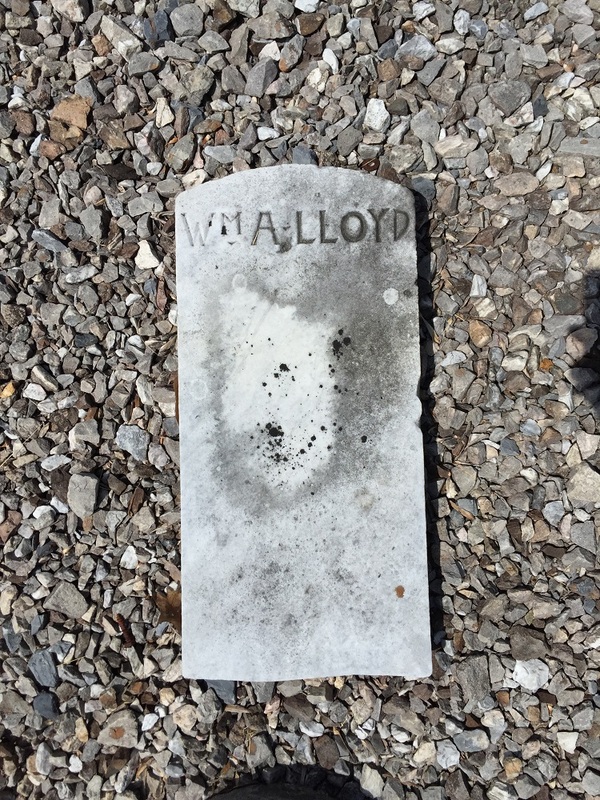 By about 1850, John M. Lloyd had left Banks O’Dee and had settled in Washington, D.C. Lloyd became a brick layer, Washington Police Officer, and, later, unlucky tavern keeper. Amazingly, the house in which a young John M. Lloyd lived still stands today in Banks O’Dee. Milton Hill, which is private property, dates to about 1792. Grave of John M. Lloyd in Mt. Olivet Cemetery in Washington, D.C. Thanks for giving some attention to this little known piece of history. The area around Banks O’ Dee is still beautiful and pristine. Ironically, a niece of Mrs. Surratt married into a well-known family in D.C., the Donohoes, and their descendants now have a lovely weekend home in Banks O’Dee. Several summers ago, I worked with the family to hold a John Wilkes Booth Escape Route bus tour for them as a family reunion. The tour ended with a catered dinner at their home there. My grandmother Christina Murray Lloyd Middleton lived on banks o Dee in a Victorian style house that her husband Arthur R Middleton had built for her. Can’t seem to find the house on Internet. Does anyone know if it is still there? Your grandmother certainly had three names with histories tied to Charles County and Southern Maryland. I don’t know if the house still exists, but it likely does. Charles County has an excellent historical society, and I would suggest contacting them at info@charlescountyhistorical.org.